Holes is about Stanley Yelnats, a boy with terrible luck due a curse on his family, sent to a juvenile detention center called Camp Green Lake. There he is forced to dig holes in the dirt each day with the other campers as punishment. The summary of Holes is a complete study guide for each chapter of the novel, analysis of characters and plot points, and much more. 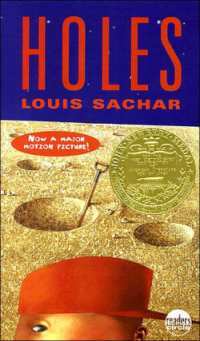 Holes by Louis Sachar, Published Aug 20, 1998.